Each material can be sealed with a variety of methods and I will show you what methods work best for each material. Note that I tried using boiling water and shellac on each material but was not successful using either of these methods for the materials I was working with. 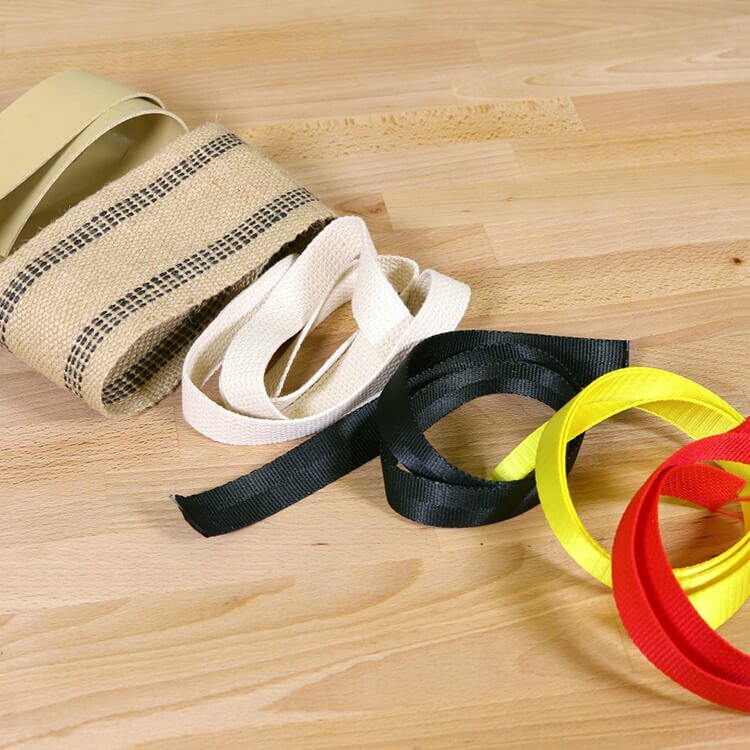 See our Webbing Product Guide for more information on these different types of webbing and what they’re used for. Scroll to the end of the article to see the video displaying the methods we used. 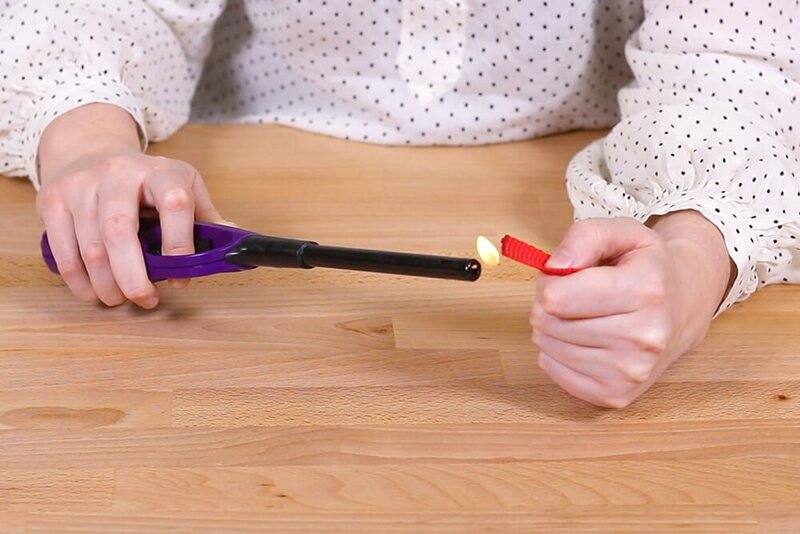 Nylon, polypropylene, and polyester webbing can all be sealed using an open flame. Hold the end of your webbing close to but not directly in the fire. 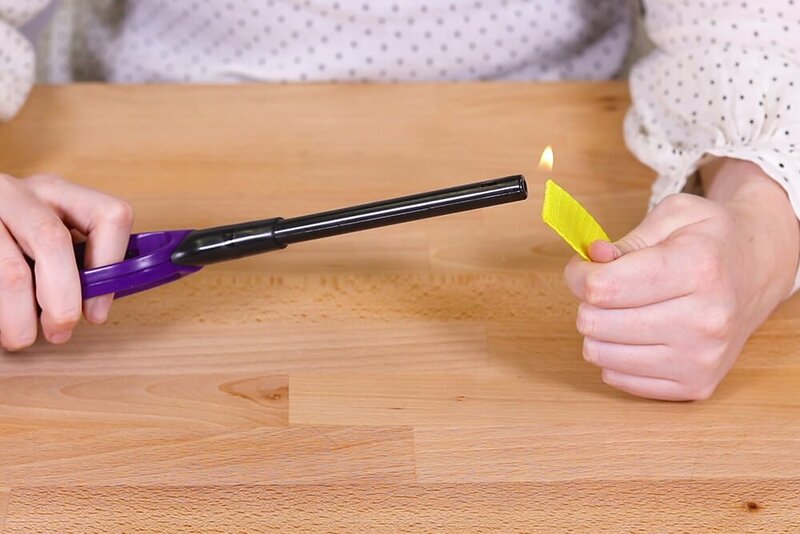 Sweep the material back and forth close to the flame to evenly seal the ends. 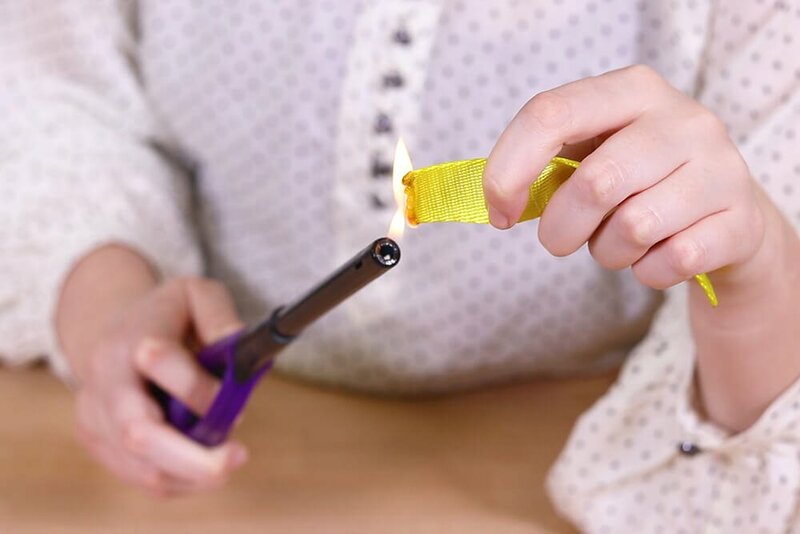 Do not catch the webbing on fire as it will create a burnt look on the end of your webbing. 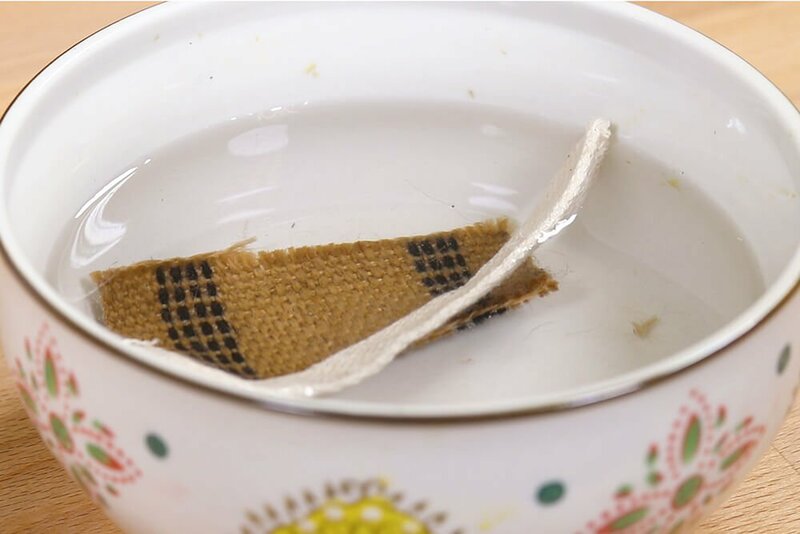 If the webbing being used is thick and the sewing machine is having a hard time making it through the material, soak the webbing in water for about an hour or so, ring the excess water out, then sew the stitch while the material is still wet. 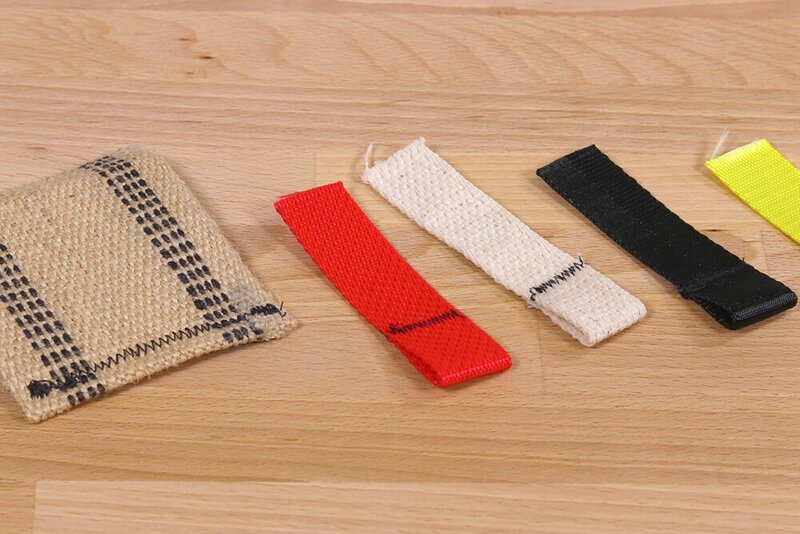 Cotton, jute, nylon, polypropylene, and polyester webbing can all be finished using a zigzag stitch. 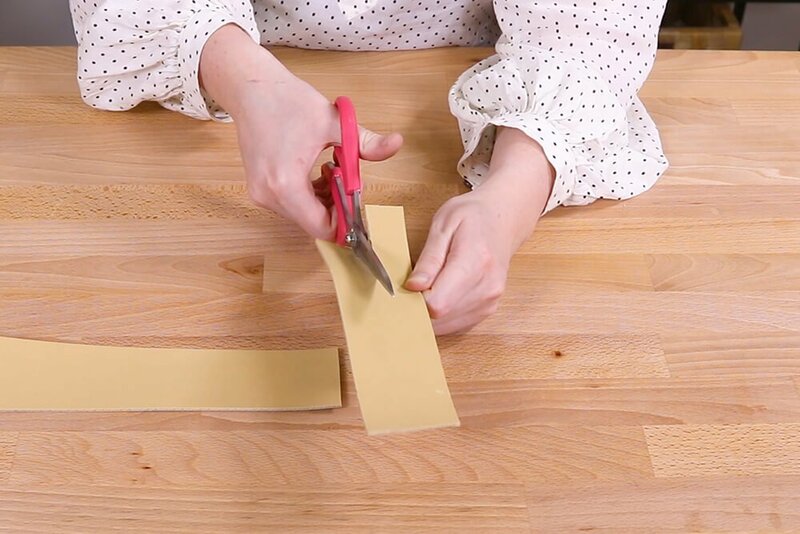 Fold the webbing and sew across the raw edge. 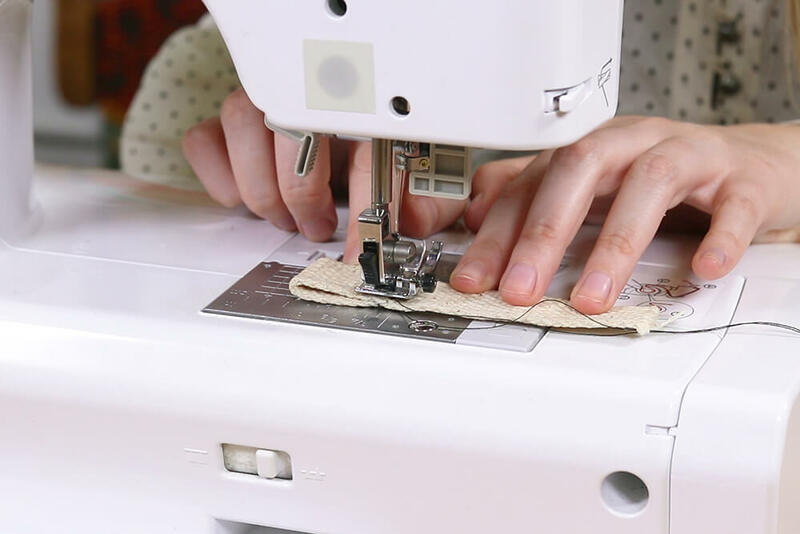 I set my machine to sew the zigzag stitch with a 0.6mm length and a 4mm width. I used a contrasting thread to show the stitching, but you can use a thread that’s the same color as the webbing. 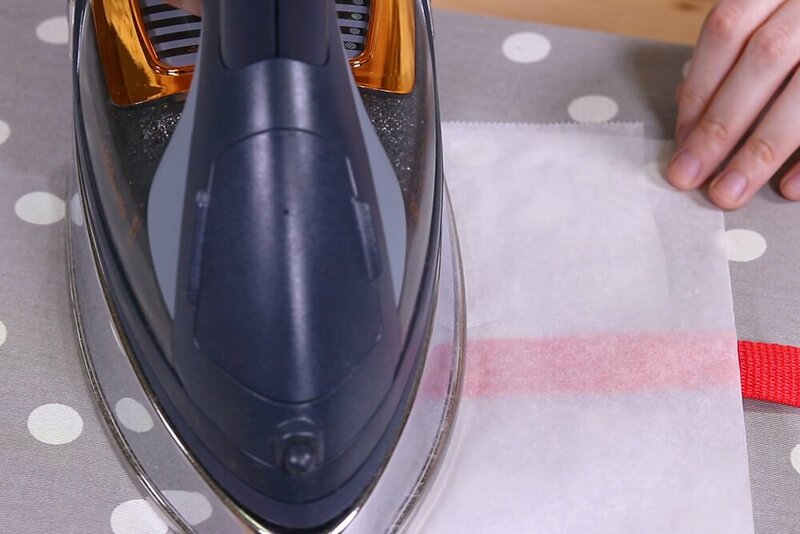 This method is not intended for heavy use. 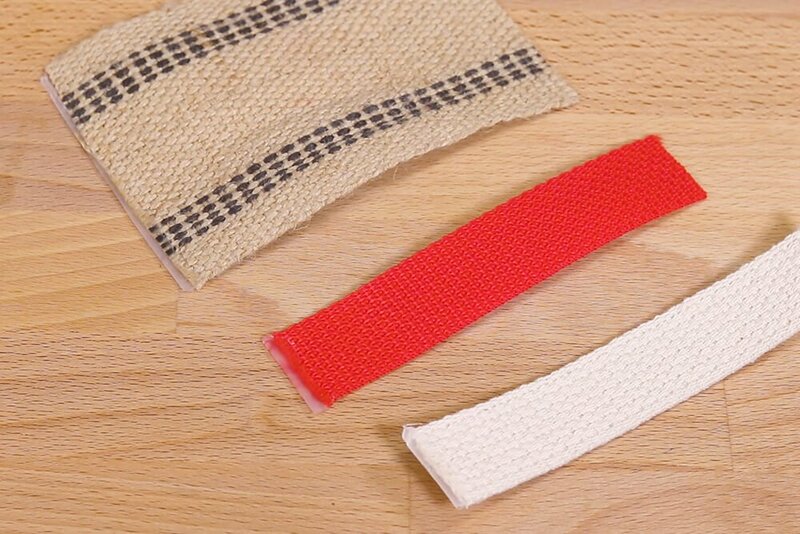 Lastly, cotton, jute, and polypropylene webbing can be sealed using hot glue. This method can be bulky. To minimize the look of the glue, I glued the edge, waited for it to dry, then wrapped the end of the webbing in parchment paper and ironed both sides. 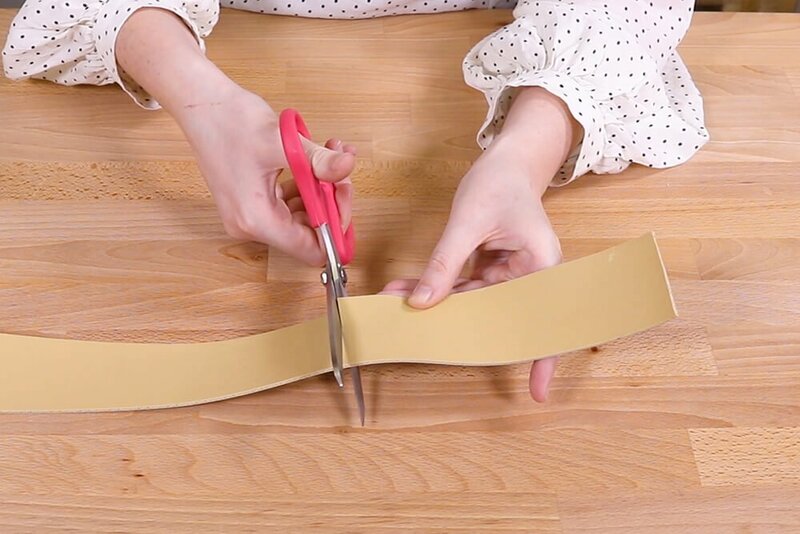 Cut off the extra glue for an even finish. 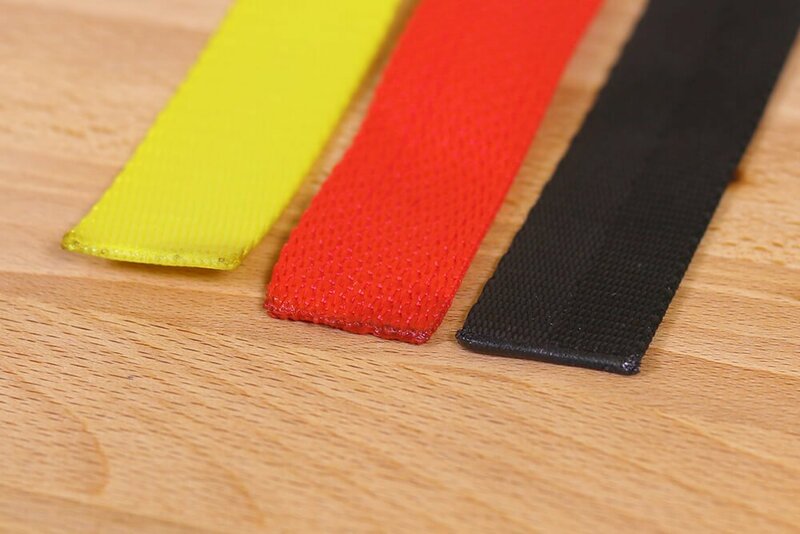 Rubber webbing is fray free and does not need to be finished. 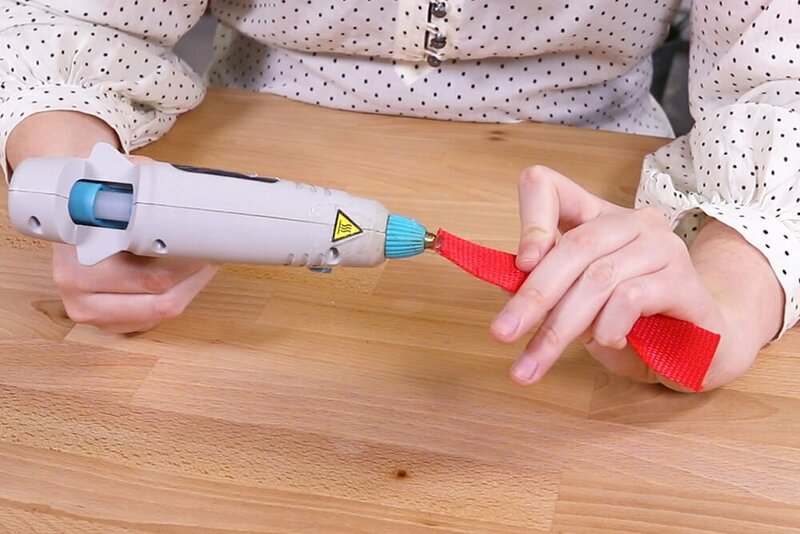 It can be cut in any direction.